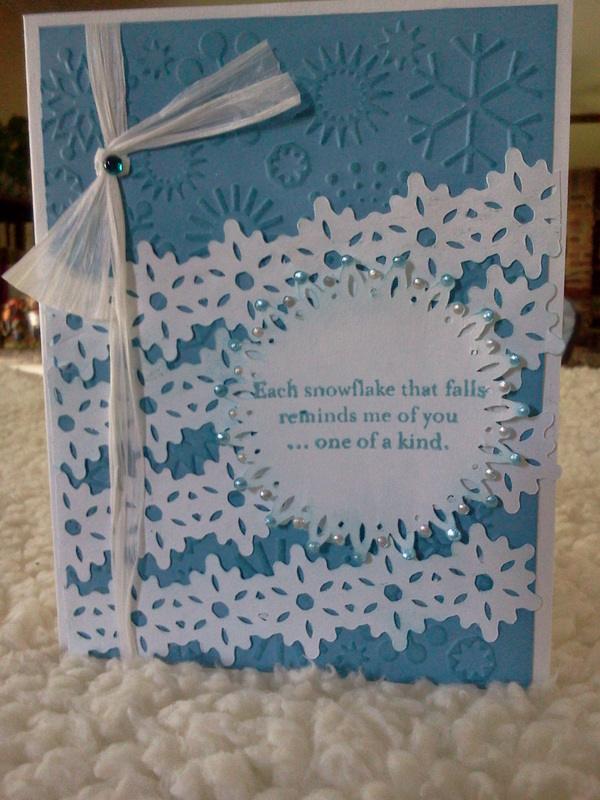 Our challenge this week is to provide inspiration for those snowy days ahead. 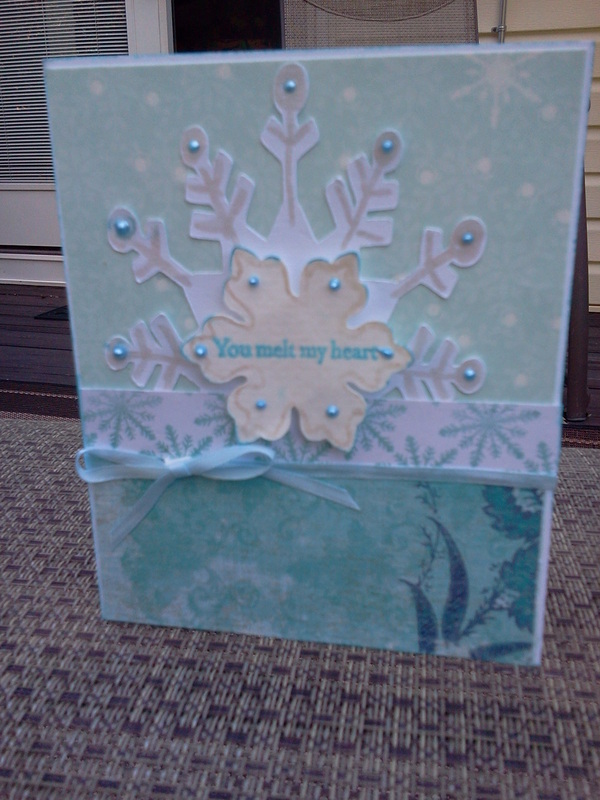 I decided to use the cricut Winter Frolic cartridge and create a card for the holidays. 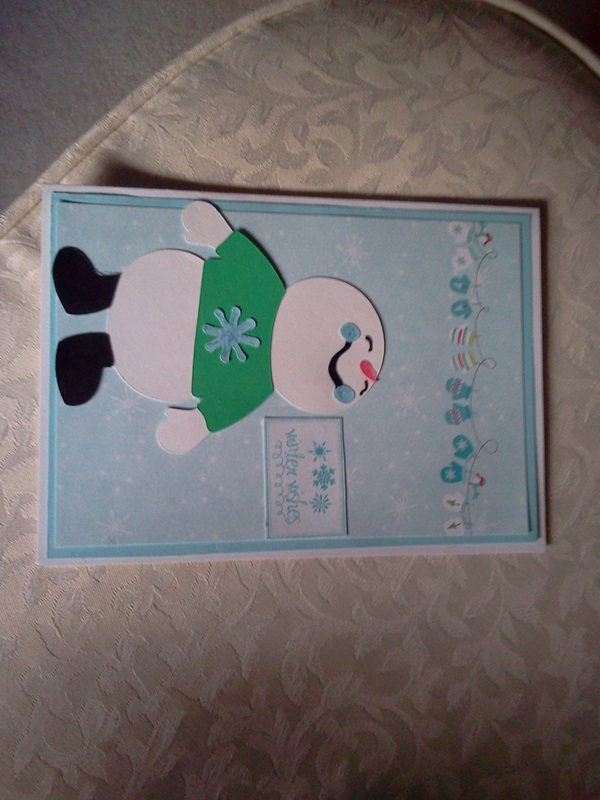 I cut my snowman at 3 inches and used a Martha Stewart punch for the snowflakes on the first one and a My Creative Time die for the second. 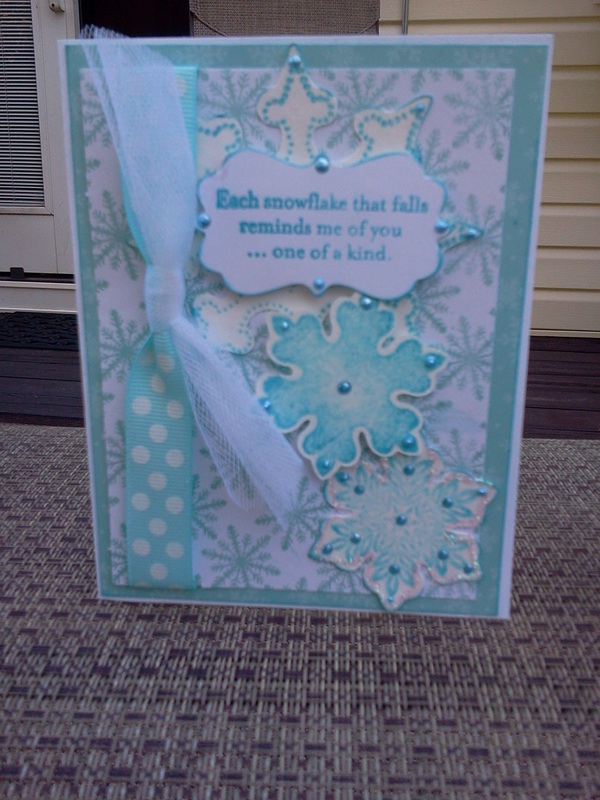 I added stickels to the flakes to give them some sparkle. I used some KI memories paper that I had in my stash. 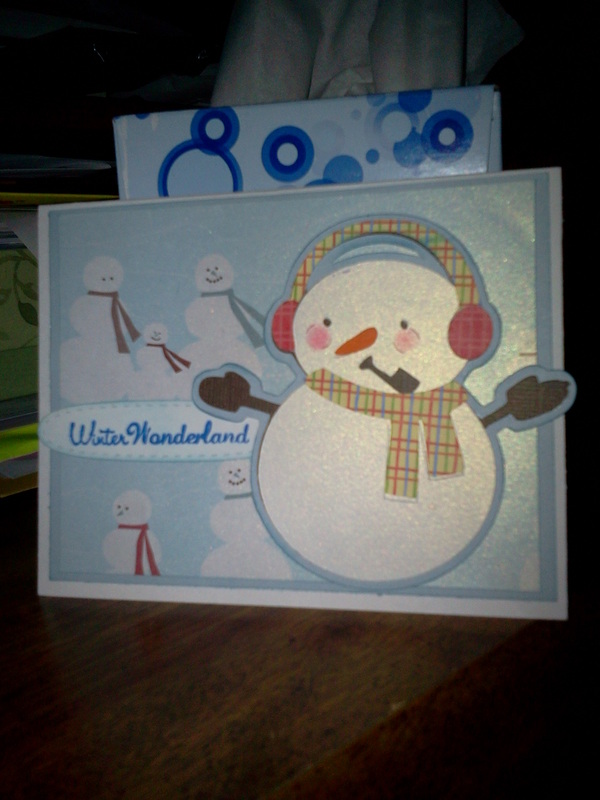 I think the cards came out cute and plan on making a few more to send to my friends. This week at Operation Write Home there is a color challenge using Red & Green! We’re to make cards using the colors Red & Green for our heroes to send home to their family and friends! 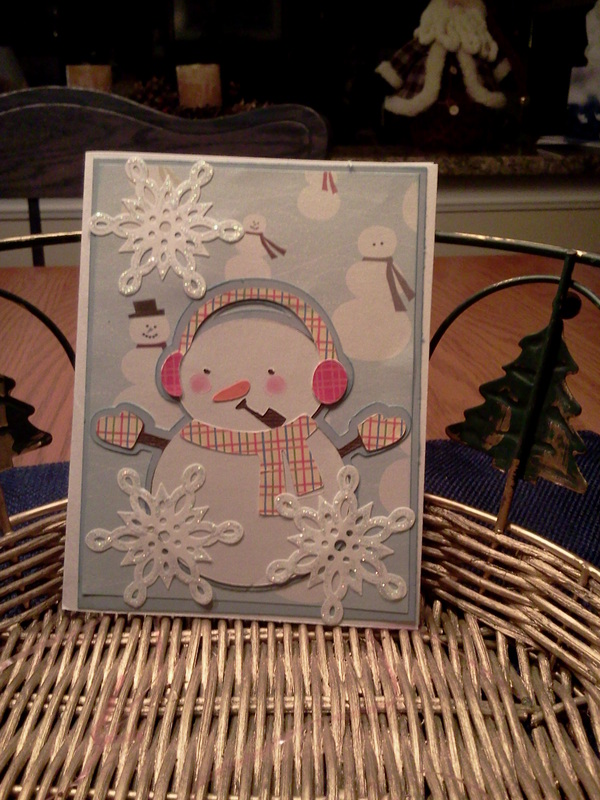 I used Cricut Snow Friends cartridge to make my snowman cut at 3 inches. 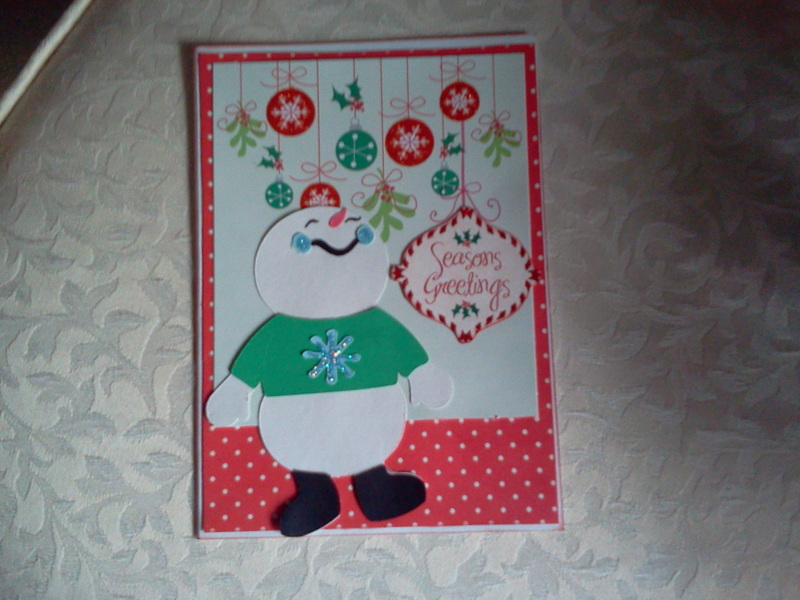 I added a little stickles to the snowflake on his shirt to give it a little shimmer. The paper was from a holiday pack I got last year.